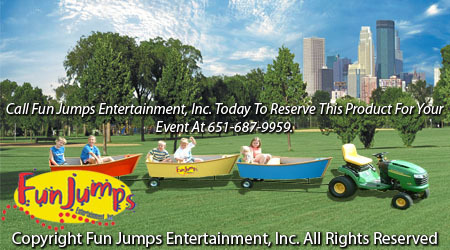 Trackless Boat Ride provides a great way for young kids to have FUN! The Trackless Boat Ride is terrific for schools, festivals, children’ parties, and community social events. Holds Up to 12 kids.